Dr. Gary Relias understands that patient relaxation is crucial to a successful dental visit, just as much as the quality of the service provided. His staff and he happily get to help their patients overcome dental anxieties and receive quality dental care. Arlington Comfort Dental provides comfortable comprehensive dentistry to Arlington Heights, Palatine, Buffalo Grove, and the surrounding communities. Dr. Relias provides several different dental procedures to help his patients create the smile they have always wanted. He does so in a manner that promotes relaxation, helping his patients have more positive experiences at the dentist more frequently. In the event that dental anxieties prevent a patient from having a comfortable experience, our Arlington Heights dentist also offers nitrous oxide for use during a visit. Also known as laughing gas, this inhalant is consistently applied throughout a visit to create a relaxing feeling of euphoria. The level of comforting care we offer to our patients is not only a result of nitrous oxide. Dr. Relias instituted several different policies that help patients have the most relaxing visit possible. The staff of our Arlington Heights dental practice is friendly and personable. Your needs are catered to, from help in filling out paperwork to discussing your x-rays and various treatment options. Dr. Relias and the hygienists are also very good at helping set expectations; our staff helps you understand what your treatment options are and how they will help you develop a healthier, more beautiful smile. We provide a warm towel after treatment as well in order to help you feel more comfortable. Throughout these various policies, we help you have a more enjoyable visit. Arlington Comfort Dental provides comprehensive dentistry to its patients in a comforting manner. We serve Arlington, Palatine, Buffalo Grove, and other communities. For more information, or to schedule an appointment, call our practice today! 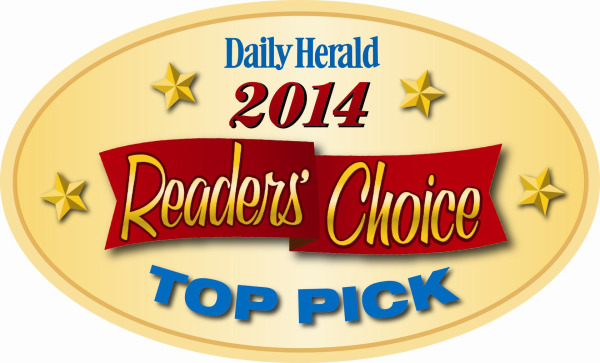 Daily Herald Readers' Choice TOP PICK 2014 2015 + 2017! Gary C. Relias, DMD is dedicated to excellence in cosmetic, implant and pain free dentistry, specifically teeth whitening, veneers and complete smile makeovers. Located in Arlington Heights, Illinois the office serves patients throughout Cook County and Lake County including neighboring cities such as Palatine, Buffalo Grove, Rolling Meadows, Mt. Prospect and Barrington.